Johnnie Ray was born in 1947 in Pauls Valley, Oklahoma. He was commissioned a 2d Lt of Armor through the Army ROTC program at Oklahoma State University on January 18, 1969, and went on active duty beginning May 16, 1969. Lt Ray next completed the Armor Officer Basic School at Fort Hood, Texas, in July 1969, and then served as a Platoon Leader and Armor Officer with Company B, 40th Armor Regiment at Fort Sill, Oklahoma, from August 1969 to September 1971. 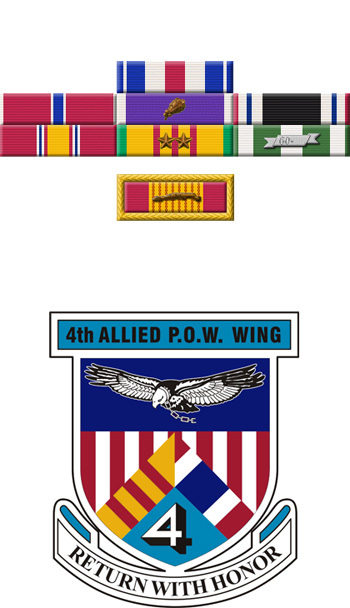 He then attended the U.S. Army Institute for Military Assistance at Fort Bragg, North Carolina, from September to November 1971, followed by service as an S-3 Advisor with U.S. Military Assistance Command Vietnam in South Vietnam from December 1971 until he was captured and taken as a Prisoner of War on April 8, 1972. After spending 311 days in captivity in South Vietnam and Cambodia, Capt Ray was released during Operation Homecoming on February 12, 1973. He was briefly hospitalized to recover from his injuries at Fort Sam Houston, Texas, and then attended the Armor Officer Advanced Course at Fort Knox, Kentucky. His final assignment on active duty was as an Armor Officer with the 2nd Battalion, 34th Armor Regiment at Fort Carson, Colorado, until he left active duty and joined the Army Reserve on September 1, 1975. 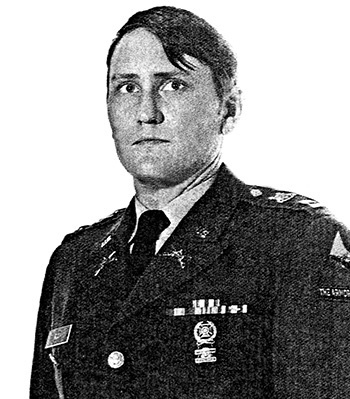 Capt Ray served with the 95th Division in Oklahoma City, Oklahoma, from September 2, 1975, until leaving the Army Reserve on March 15, 1978. Captain Johnnie L. Ray, Armor, distinguished himself by meritorious service from 7 April 1972 to 12 February 1973 while a Prisoner of War in South Vietnam and Cambodia. Ignoring international agreements on treatment of prisoners of war, the North Vietnamese subjected Captain Ray to a routine of mental and physical cruelties, including withholding of adequate medical treatment for wounds and illnesses. This routine was calculated and designed for the purpose of obtaining military information and propaganda material detrimental to the United States. Under these extremely adverse conditions, Captain Ray successfully resisted indoctrination, threats, and promises of medical attention by the North Vietnamese intended to coerce him to support causes injurious to the United States. He never wavered in his devotion and loyalty to his country. Throughout his internment, Captain Ray maintained a high state of discipline and morale. He continuously confronted the North Vietnamese by refusing to cooperate or to conform with camp regulations, causing the enemy to maintain a posture of maximum security. Defying his captors he shared everything he had with his fellow prisoners and gave them encouragement to continue when all seemed hopeless. With consistent loyalty and perseverance, he conducted himself in a manner that aided the senior prisoner of war immeasurably in controlling the camp and maintaining prisoner morale. Captain Ray's conduct and manner of performance were clearly exceptional, reflecting great credit upon himself, the Army, and the United States of America.